We’ve spent the last week at Disneyland , Paris. I had intended on drawing some of the rides in the park, but found the rides either too sprawling, or busy to produce an effective composition. Plus, it was nice to get away and ride! We had tea with characters, lunch with princesses and a meal in the Blue Lagoon restaurant, which is part of the Pirates of the Carribean ride. Oh, and a lot of queuing for character autographs! So, along with Lucy, my current sketchbook has autographs of some of the favourite Disney characters. 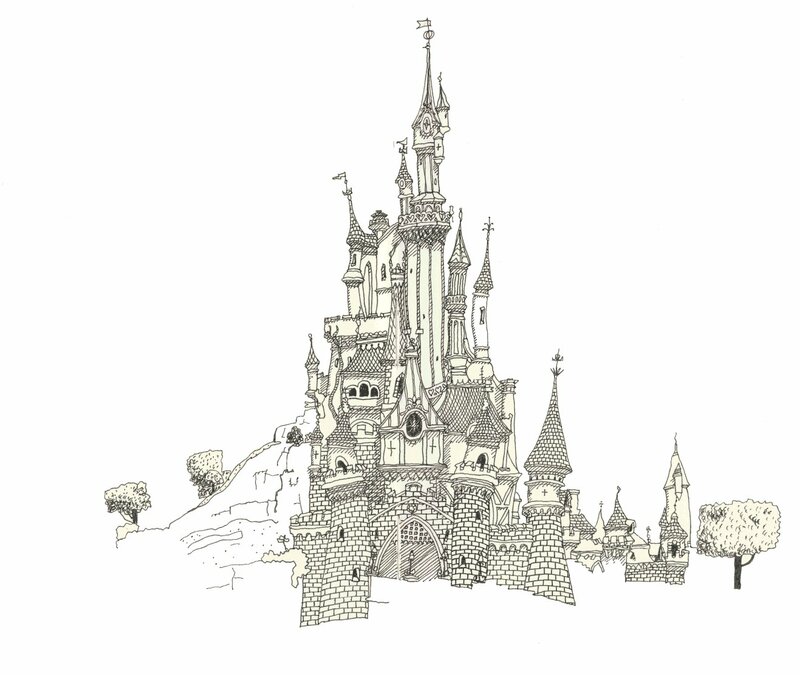 It was good to step out of the hubbub for an hour or so to scribble down a view of the iconic Sleeping Beauty castle.